Qingdao Hisea chem co.,ltd is one of few companies who can produce and have the export right of MEK in china.we enjoy great reputation home and abroad.our annual capacity is 20,000mts and it will reach 30,000mts next year.customers all over the world:Europe,Asia,USA,CANADA,Russia,Ukraine,Iran,pakistan,Japan,Korea etc. 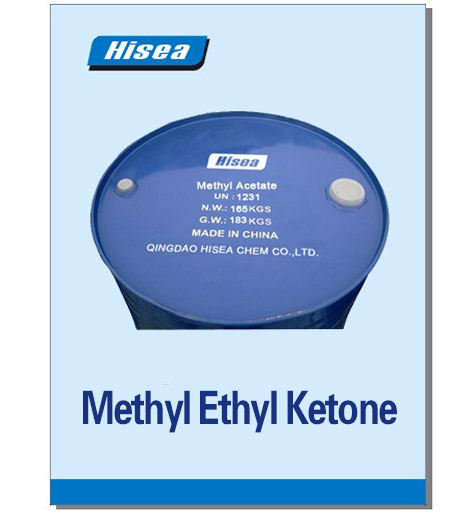 In the low boiling point organic solvent, methyl ethyl ketone is famous for its outstanding dissolving capacity and dry characteristic. It is mainly used in polyurethane resin, PU leather and imitation leather, bond, coating, lubricating oil dewaxing, printing ink, magnetic recording material and so on industries, it is also an important fine chemical raw material. excellent quality,quick delivery and best services,especially the most competitive price! Qingdao Hisea Chem Co.,Ltd which located in the northwest of China is the largest salt in China, potassium chemicals production ranked fourth in the world. The main products are potassium sulphate, potassium nitrate, potassium hydroxide, caustic soda, sodium sulfide,sodium carbonate, annual production capacity is 6,000,000 tons. In order to increase product export,our company sets up the branch and the construction of the logistics center in Qingdao port , welcome general customers come to visit.